So with the start of the season right around the corner and the start of the Memorial Championships in Phoenix, AZ coming up at the end of February, there’s no way that I can begin the year without first doing a recap of the amazing 2014 Disc Golf Season! Let’s look back at another great year as I take you on a quick journey of some highlights from my season in the 2014 – Year in Review. The 2014 Disc Golf Season has proven to be my most fun and exciting year to date as I continue to be a perpetual road warrior and a present mainstay figure on the PDGA Tour on my 15th season as a Touring Professional Disc Golfer. It was an exciting year with incredible worldwide travels throughout the spring and summer as the growth of the sport never ceases to amaze me, it’s a great time to be involved in Disc Golf as it only continues to progress. It’s been an incredible 2014 Discmania Deep in the Game Tour as it’s been the most extensive Disc Golf Tour that I’ve ever been a part of in my 15 years of touring and traveling throughout the world. It was a continuous adventure the entire time as it was reliving the Disc Golf Tour that I knew so well but this time it was all about providing the guidance for the young 22-year old German Phenom, Simon Lizotte, as it was his first time traveling as a Professional Touring Disc Golfer. We as players not only played and competed in tournaments all over the world, but we got the amazing opportunity to teach the very sport that we love to hundreds of players throughout the globe on the Discmania Deep in the Game World Tour. The Deep in the Game Tour allowed us to host 58 instructional clinics and workshops throughout the US and Europe this year. It’s something that we as players do that is very unique, not that we just teach like other professionals, but we teach Disc Golf on such a enormous scale on a weekly basis in over 100 cities, 44 US states and in 8 countries. It was the first Disc Golf Instructional Tour of its kind of this size and magnitude with over 900 participants in attendance. I only participated in 11 PDGA Events including three top-5 finishes and one victories. I played in all 4 PDGA Majors (Japan Open, European Masters, World Championships and the United States Disc Golf Championships) and hosted close to 60 Disc Golf Instructional Clinics. I also had several strong finishes at the Master Cup National Tour Event and the Japan Open Major Event. I know that I could have played a lot better at many of the events but I was also really focused on the actual operation of the Deep in the Game Tour and it’s success. I didn’t play as much as I wanted to due to an elbow injury that I suffered while practicing for the 2015 World Championships in Portland, OR in August. Any other tournament I would have just withdrawn but it was my 16th World Championships and I wasn’t going to mis this one, so I played the entire event all 7 rounds with that nagging injury. That definitely set me back quite a bit as I didn’t play the rest of the Fall Tour in fear of injuring my elbow any worst, even missing some of my favorite tournaments and not playing again until the United States Disc Golf Championships in October. I hope that my dedicated training during the Off-Season will hopefully prevent any further injuries this season, it’s all about keeping in top physical condition and listening to your body when it’s time to resist from playing at times. 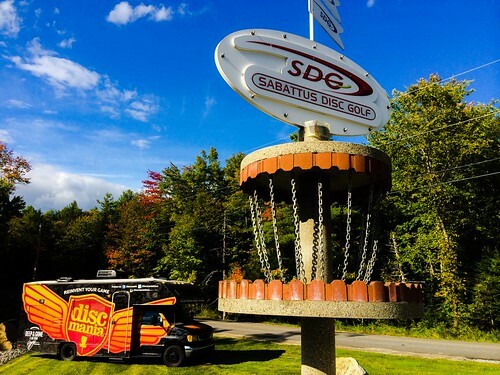 The Deep in the Game Tour Clinics made a huge impact in the local disc golf communities that we visited bringing some more education and excitement to the sport. It was amazing to meet many of the participants that traveled hours to attend the closest clinic to them or in their state, it showed real dedication on their part as they really want to take part in the events and improve as players. And that’s really what it was all about, learning and progressing as a player through proper teaching and the great opportunity for the chance to get one-on-one instruction from both of us. Our main goal was to give the clinic participants more than they expected to receive as for as instruction and providing the extra time to helping each individual player that attended our instructional clinics. We really hope that everyone had an enjoyable time and at least received some solid information to take away from the event to apply to their games. But it all comes down to this, if the players want to really improve their game, then they really need to take what they’ve learned and commit to practicing this proper technique instead of going back to their same throwing habits. Dedicated time to practice and constant repetition of correct form will go along way into producing some really great Disc Golfers in years to come. Special Thanks to all the local Deep in the Game Clinic Coordinators that helped in the overall organizing of the events and all of the friends that opened up their homes to us making our travels that much easier, this tour would have not been possible without you! 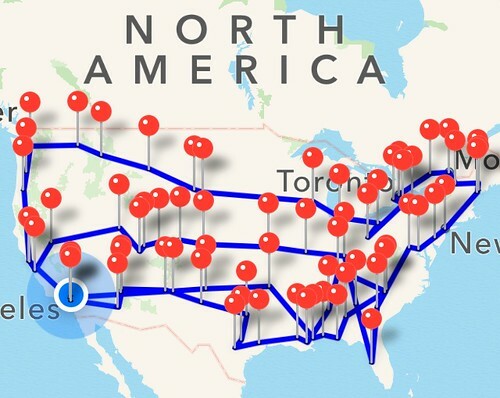 I personally feel that I’ve never traveled throughout the US as much as I’ve traveled this year visiting 44 states in less than five months, it was unreal to drive through that many in one season. 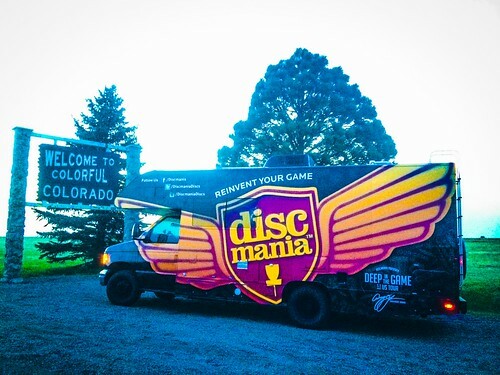 The Discmania “Maniac” Motorhome visited 20 US states on the Spring Tour and 24 states on the Fall Tour with the only four states that we missed this year in the Continental US are North Dakota, Iowa, Nebraska and Michigan. We have plans to visit those states during our 2015 Deep in the Game US Tour. The Disc Golf Tour is definitely something very demanding with all of the non-stop traveling, but it was very fulfilling as well. There was a lot of driving in a very short amount of time but it made it all worth it with all of the adventures as we met lots of new players and made several good friends along the way! Teaching the sport of Disc Golf is something that I’ve personally been doing for over a decade but it was great to see Simon become such a good instructor along the way. All in all, it was a very successful Deep in the Game World Tour and Disc Golf Tour in general as we most importantly spread the love for this sport from Coast to Coast and around the globe to some incredible destinations throughout the world. It’s truly an incredible opportunity that we have been given, it’s the dream job that we were fortunate enough to live to the fullest and most importantly have a great time doing it! I think that the biggest highlight of the entire tour cumulated when Simon set out to prove to the world that he’s the furthest thrower on the planet. He was very confident in his abilities as a thrower, I got to witness his tremendous skills time and time again throughout the season. I had faith that he would do it but it was all up to actually doing it when the time was right. He started the distance contest weekend by setting a new mini distance world record at 161 m / 528 ft throw and then setting a new golf disc distance world record at 263.20 m / 863.5 ft. I was incredibly excited to hear about Simon breaking and setting these New World Records, it was something that he worked so hard to do and it wanted it more than anything! During the 2015 season, I plan to certainly play a little more than last year and I hope to avoid any injuries that could interfere with my tournament schedule. I recently completed my 2015 tour schedule and I have nearly 20 tournaments, traveling extensively throughout the United States in the spring, traveling to Europe in early summer for the Scandinavian Open and European Open Major Events, then back throughout the US during the fall. This season’s tour will obviously be much different with the expecting arrival of my son, Arian Jenkins, sometime in February…we hope sometime soon. I know that I’ll have to be there for him and Leah, so I’ll be making lots of trips back home in between events instead of staying out on the road as usual. 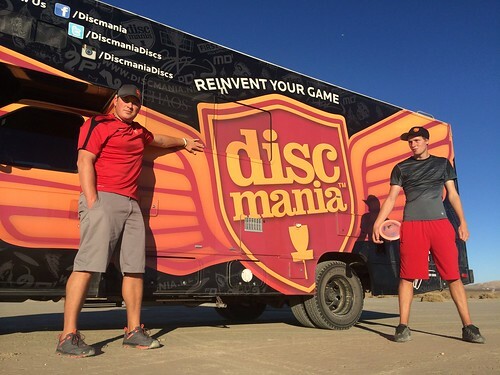 The 2014 was an unforgettable season but we couldn’t have done it without the ones that support us most, thanks to the entire Discmania Team and Crew that helped to organize, market and promote these events throughout the states, it’s only just the beginning of the Discmania Deep in the Game Disc Golf Teaching and Instructional Concepts. And last but certainly not least, incredible thanks to Simon Lizotte for taking the chance and being trusting enough to travel the US for the first time with me, he truly learned what it’s really like to live life on the road as a Professional Touring Disc Golfer. I will only be playing in a few of the PDGA National Tour due to my international travels but I will be playing in ALL of the PDGA Major Events throughout the 2015 Season except for the Aussie Open in Perth, Australia. I will do my best to continue to be a Disc Golf Ambassador and spokesman for the sport during my travels. It’s been a passion of mine for over a decade and I enter into my 15th year as a Touring Professional as it going to be a tremendous 2015 season with the Discmania Tour with a few Instructional Clinics along the way and lots Tournaments throughout the world. I will continue to promote Disc Golf as one of the best sports on the planet in hopes to gain even more exposure this year. I am looking forward to another exciting and successful season on the Disc Golf Tour, I will do my best to make the most of it every single day. Thanks to all of my sponsors: Innova Champion Discs, Discmania Discs, Keen Footwear, Grip Equipment, Clif Bar, Huk Lab and Team Jenkins, I couldn’t do what I love without everyone’s support and assistance along the way! Thanks to all my friends, family and travel companions throughout the year that have made my world travels possible and my disc golf dreams a reality. Here’s to an incredible 2015 Season!